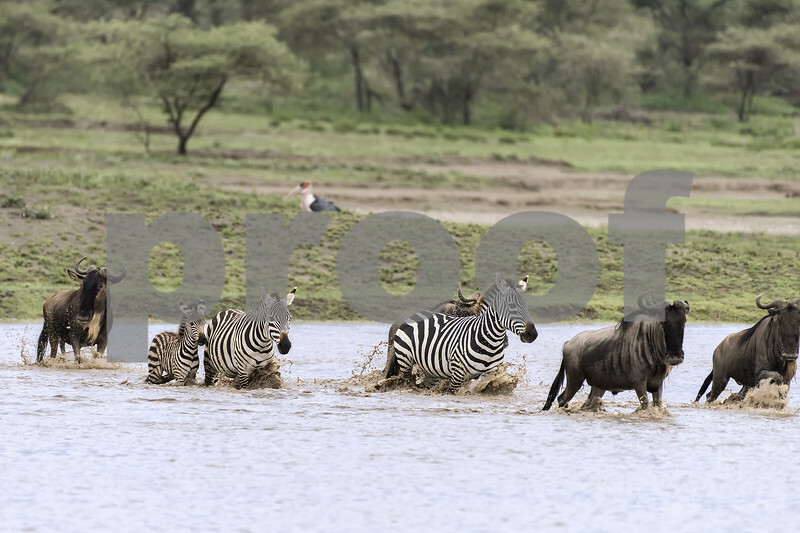 Zebra family with a small foal and wildebeest splash across flooded Lake Ndutu, Serengeti, Tanzania. An unexpected rapid rise in the lake water led to the formation of a wide river that the migrating herds had to ford to reach the greening grasslands further north. A Marabou stork is in the background. Very interesting wildlife action capture and info ! !